Happy Tuesday! 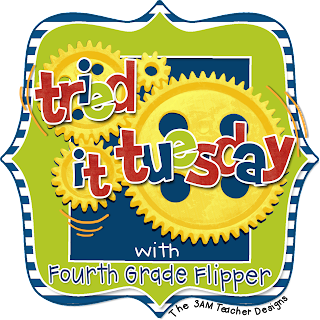 Time to link up with my sweetest friend Holly for her Tried It Tuesday! This linky is great because it's basically like reviews of what works and what doesn't at your fingertips! I've always had a class set of dry erase boards, but this last set I've had for about 8 years and they were tired looking! I use my boards or my student desks almost every day, but I didn't want to spend over a $100 on a new set so......I finally TRIED the shower board! You know my husband works at Lowe's, but I've never tried it! LOL! Honestly, I wasn't sure how well they'd work, so I was hesitant, but then I thought for less than $15, it's worth a try!!! What do you notice about that beautiful border?? My sweet, favorite childhood teacher (Mrs. Barnette) helped me wrap these babies! The duct tape isn't necessary, but it definitely gives it a polished look and softens the corners. Lowe's has a 4'x8' shower board for $13.47. They cut mine into 12"x12" squares, making 32 dry erase boards. 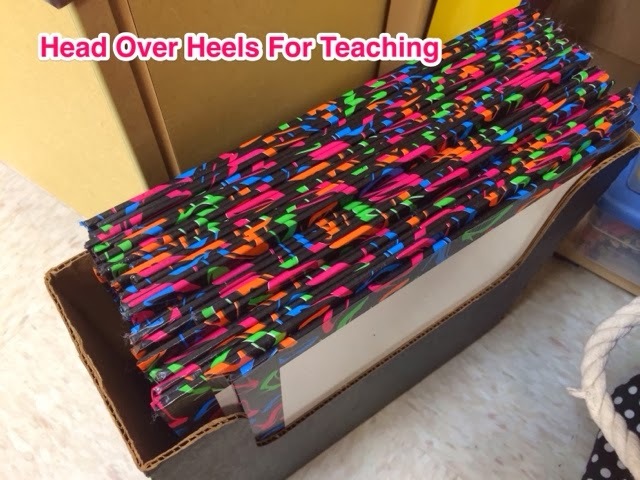 I got the gorgeous HIGH HEEL duct tape on clearance for a $1, plus I had two rolls from sweet friends that saw it and immediately thought of me...I wonder why??!! If you haven't tried the shower board and you want to make the learning in your classroom more exciting, go get one...tonight! Quick, easy way to assess your students and they're FUN! Have a super week friends! They look great! I like your idea of doodle time. My students definitely know that if they are caught doodling than they go back to plain ol' paper. Never had an issue with it! That looks great! As far as cleaning, how does the shower board compare with the "white boards?" I have been using shower board "tiles" for years. The kids absolutely love using them. Of course we ground rules. In my nine years of teaching I've only had 2-3 students who have ever lost the privilege of using their board for the day. As far as cleaning them, Ms. OCD, my kids like using miss-matched socks from home (clean of course). Every so often I clean the boards with Mrs. Myers cleaner or those Mr. Clean white clean eraser (I use the Target brand). One note of caution though, do not use the white board cleaner on them because it leaves a filmy buildup. I can't tell you how mad I am at myself for buying a crappy set last year at the dollar store. I paid more than this AND had to toss them at the end of the year. Lesson learned. This tip is gold!! I used to have the showerboard boards but didn't feel like toting the heavy crate when we moved buildings two years ago. They were rather old and weary. I'm diggin' the duct taped edges so I'm thinking I should make a new set! AND I LOVE, LOVE, LOVE the doodle tip! Definitely a winner! I love this idea. My dry erase boards have definitely seen better days. You are right about the drawing. I get tested every year, but only once. Love the duct tape border! My teaching partner actually had shower board cut as well - it's so much cheaper! We usually share whiteboards since she uses them virtually everyday but at that price... I may need my own set to stay inside the desks! Ordering white boards is actually on my to-do list - I may have to re-think that order! The duct tape is perfect and totally makes the boards. The doodling tip is key. Thanks so much for sending me the link to solve my no-reply issues - who knew it was so easy! Love the shower board idea, how have I never heard of this before? Buy the colored puffs at Dollar Tree for erasers. They come 3 to a pack, and are the best! They come in pink, blue, and green. I can send a picture if you want. I wash them in a mesh bag, and they look like new. They'll go great with your new whiteboards! Great idea! I have to go through my boards and get rid of the yucky ones. This idea looks like the perfect replacement. Thanks for sharing! I have a set of showerboard boards in my classroom! So easy and cheap. They are kinda on their last leg, though so I'm thinking I might get a new set next year and will definitley be using the duct tape to cutsify them! Great idea! My marker boards are looking so sad after who knows how many years of use. Thanks for the tip! I have had my shower tile boards for a little over three years and I love them. I never thought of wrapping the edges though - will definitely have to try that. Joanne, this is wonderful! The duct tape is great--my daughter just peeked over my should and saw it--she was a little obsessed with it. Let me also add that you're idea of giving them a little free time is probably one of the most important aspects of using the whiteboards. The kids just have to do it--like getting the wiggles out! Great! 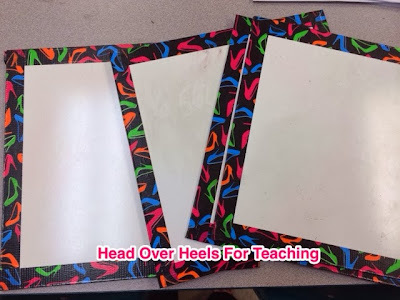 I'm glad you went with showerboard instead of the expensive teacher store ones! It's totally worth it! !